I have twice in recent weeks been approached by people who – noting my Filofax – have struck up a conversation with me about it. One of those people reminisced at some length about how she had used one herself and how much more organised she was when she did. The other was a fellow user who had believed he was in a minority of one. These conversations would never have happened had I not been carrying my Holborn at the time, and this thought made me reflect on what else might have happened purely because I carried this binder around with me. For one thing, I tend to quickly create in new circles a reputation for being organised. I think the Filofax is a very visible signifier of organisational skills. This is odd really. The Filofax is a device to support organisation in the same way that glasses are a device to support vision, but do we congratulate glasses wearers on their excellent eyesight? So by bestowing the aura of organisation, owning a Filofax gives us a perhaps unfair advantage, as well as a stand-by talking point. And this is on top of all the more tangible benefits it confers on us, like having important facts always to hand, being able to capture ideas instantly and being able to access appointment details irrespective of internet or power availability. And there’s more too. The average wallet layout and capacity hasn’t changed in perhaps fifty years or more, despite the profusion of credit cards, loyalty cards and other essential items. Transaction counterfoils also need to be stored, whereas in past years the cheque stub would mean no counterfoil was necessary. 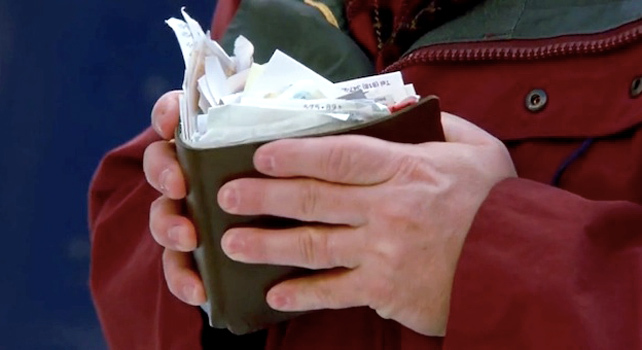 With so much to carry, the typical wallet is close to breaking point. With a Filofax to share the load, however, two important benefits come to light: I can carry far more loyalty cards than would otherwise be the case, thereby scoring more freebies and discounts, and the line of my suit will be unspoiled by excess wallet bulge. I had the same thing going on with my knitting, when I lived in New York. People approached me when they saw me knitting. I don't sjow typically my FF to anybody. People look at me weirdly when they saw it. They are interested at least, I know. But some have to say something like "don't you use your memory at all?". "I think the Filofax is a very visible signifier of organisational kills. This is odd really." Very odd indeed. Who are you killing? Joking aside, great post. I get the same things - people laugh about my phone not being 'smart' but it takes me about 2 seconds to check my diary AND I can do it while I'm on my phone..
Oops. Typo or Freudian slip I wonder? It's funny the responses you get. Some people admire you and some think you're weird. But they all think you're organized! I really enjoyed this post, Ray! Great observations. I was in a meeting just yesterday and a woman sitting across from me had an A5 Osterley in Wine. I immediately stared at it (it's such a beautiful binder), and I noticed that she was staring at my Aston A5. Even from across the table, we had something in common. I actually tend not to get many comments and when I do it is something like, "Oh, you're old school!" I find that annoying for some reason. Ah well!